It is so nice, apples are plentiful so I can bake my apple cakes and make my apple pancakes. Apples go into many dishes, muffins, salads, slaws, pies, cakes ------ use your imagination. I, usually do a lot of apple baking and cooking during the Autumn and Winter. Mix the eggs with the yogurt in a large bowl. In a smaller bowl, whisk the flour, baking powder, salt, sugar, and cinnamon together. 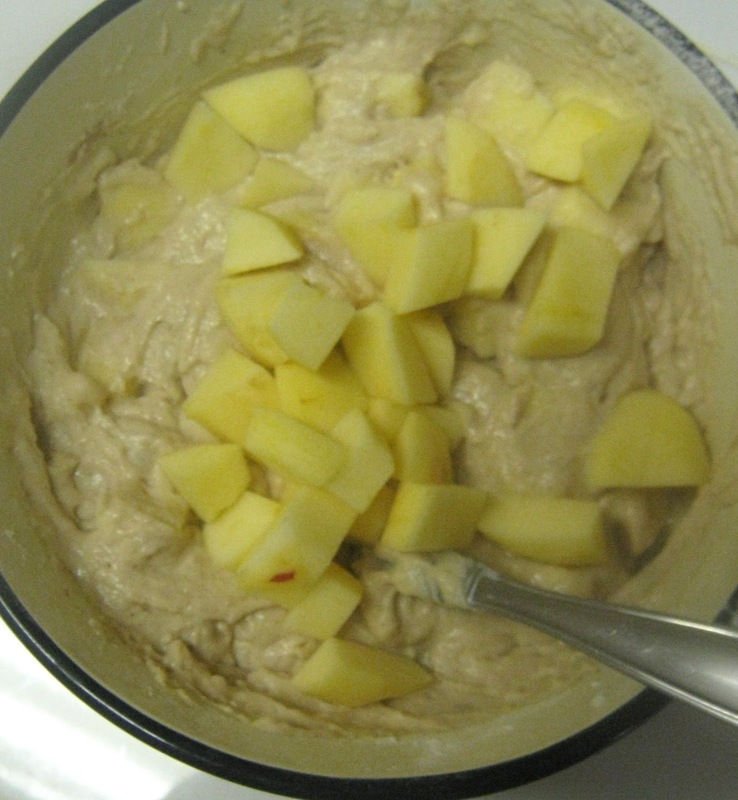 Combine the wet and the dry ingredients and stir in the apples. It will be chunky and the pancakes will look chunky but we love chunky. If you do not, slice or shred the apples and cook for less time. Heat 1 tablespoon of oil over low to medium heat in a large skillet. Using tablespoon cookie scoop, drop batter into the pan and flatten them a little, to ensure proper cooking and cook until golden brown underneath. Turn the pancakes and cook them for an additional two or three minutes. 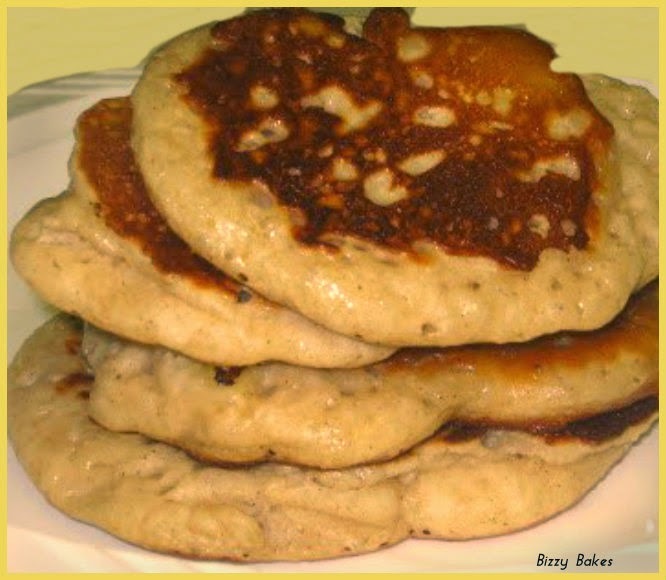 We've tried banana pancakes, but since I like apples more this sounds really good! I like to use cinnamon and vanilla with a heavy hand too, Chaya! Your Apple Pancakes look delicious! Thank you for sharing them with us at the Hearth and Soul hop. This is great, Chaya. I would love you to stop by Food on Friday: Pancakes over at Carole's Chatter to add this to the recipe collection! Cheers!